Dell hasn't gone about reinventing the wheel with the Mini 10, yet despite a few minor usability issues this is a decent option. As every netbook maker worth its salt hurries to replace its existing line-up with second generation models using Intel's new Pine Trail chipset, we are clearly going to have to get used to being presented with an ever increasing slew of machines which frankly are pretty much the same as the ones they replace. Dell delivers a rather lazy warming over of its netbook range, so while the processor is new and battery life excellent, everything else, like the song, remains the same. 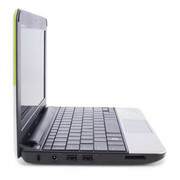 We've previously looked at a less expensive version of Dell's redesigned Inspiron Mini 10 Netbook, and the line continues to be a strong player in this crowded field, thanks in part to Dell's name-brand ubiquity, as well as to the company's ability to offer a reasonable level of configuration options. Dell's popular Netbook adds HD video acceleration for a solid movie-watching experience, but requires a still-in-beta Flash update for streaming video. Dell's new Mini 10 with the PineTrail platform makes some nice design changes and battery life improvements from their previous generation. The new wedge shape will be welcome by some and loathed by others. The flush battery compartment is welcome to keep the lines clean but the display lid that doesn't fully cover disrupts it. 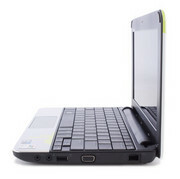 It is a decent netbook system in terms of performance and features but it is marred by a nearly unusable trackpad design that makes it very difficult to use without an external mouse. 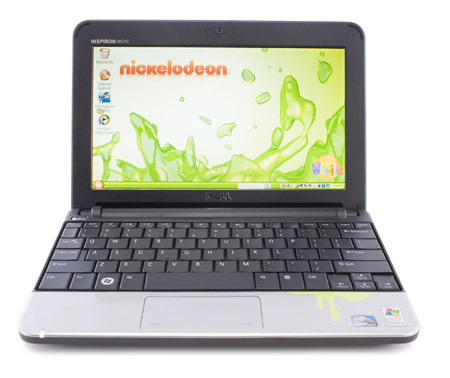 Netbooks were originally designed with kids in mind, but since then have been accepted by all age groups and turned into something more than just leisure machines. 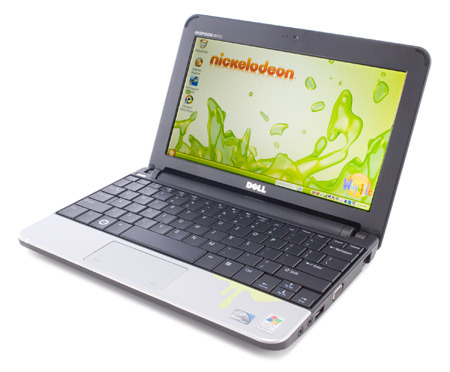 Aside from a neat design and catchy themes, the Dell Mini Nickelodeon Edition doesn't offer anything useful for parents and children that you couldn't get with any other netbook. So, final verdict. Well, there’s one elephant in the room that we just can’t ignore: the price. We calculated the price of the review unit’s setup on the Dell website and it came out at a staggering £519 (including wireless ‘n’, TV Tuner, HD screen, Intel Atom Z530, etc). 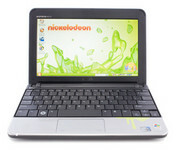 That’s firmly in the Too Much category for netbooks whichever way you look at it. Take away all the fancy extras and you’ll find a middle-of-the-road netbook at less than £300, but the lesson here is that piling on options can destroy both the value and the style. 60.86%: Such a bad rating is rare. There exist hardly any notebooks, which are rated worse.